If you live in the USA and have eyes or ears, it's impossible not to know we're preparing to elect a president. So were the people in Noah Hawley's The Good Father, narrated by Paul Allen, M.D. But the big question is not who will be elected. Jay Seagram, the charismatic Democratic senator from Montana and the presidential front-runner, has just been shot dead during a campaign speech at UCLA. Apparently by Daniel, Paul's 20-year-old son. The question is, how can this be? Paul was finishing his medical residency in Los Angeles when he met green-eyed Ellen, a young photographer who "had the body of a girl who knows how to get into trouble." She was a flake, a dreamer and not a doer. Before long, the very quality that Paul found attractive had turned maddening. If she hadn't become pregnant, their relationship probably wouldn't have lasted a year. Paul loved their son, Daniel, but by the time Danny was seven, Paul couldn't take it anymore. He and Ellen divorced. Though Paul planned to stay on the West Coast to help raise their son, a lucrative job offer sent him to New York City. There, he became chief of rheumatology at Columbia Presbyterian Hospital and remarried. Danny shuttled back and forth between Los Angeles and New York at holidays and during the summer. At age 15, he came to stay with Paul, his second wife Fran, and their young twin boys. All seemed well, but it wasn't long before Daniel left. He dropped out of his first year of college at Vassar without telling Paul. When the book opens, it's June, less than two years later. Daniel's been drifting around the country, working here and there. Paul hasn't spoken to him since the previous fall. When the Secret Service shows up at Paul's door with the news that Daniel has been arrested for Senator Seagram's assassination, his father can't believe it. His smart, likable and gentle kid? There is no way! Paul, whose specialty has made him a medical detective, the doctor other doctors call when a diagnosis remains elusive, resolves to stay calm and remain objective. He'll see Daniel, review the evidence and get to the bottom of it. As Paul says, "This was the case I'd been training for my entire life." It will be months before Paul knows the whole story. Daniel isn't talking and the evidence leaves room for doubt of his guilt. It also suggests a conspiracy. Paul, a meticulous researcher, collects stacks of research on the places and people Daniel visited during the time he was on the road. As case studies, Paul reads about other political assassinations and mass murders. Proving Daniel's innocence becomes an obsession and an addiction. It's rare that Paul, the skilled diagnostician, can't find the answers. Meanwhile, his wife reminds him that she and his other sons need him too. This is a harrowing and moving tale, not only of an alienated young man's quest to find himself and to understand where he fits into society, but of an older man's attempt to make sense of his own life that has been suddenly turned upside down. A once-respected physician is now a pariah, the father of the kid charged with killing the hope of an entire country. How did Daniel slip away from Paul and grow into a stranger? What could Paul have done differently? Other children of divorce grow up to be responsible citizens. How much of what a person becomes in life is nature and what is due to nurture? How can a man make peace with the past and sense out of something so senseless? 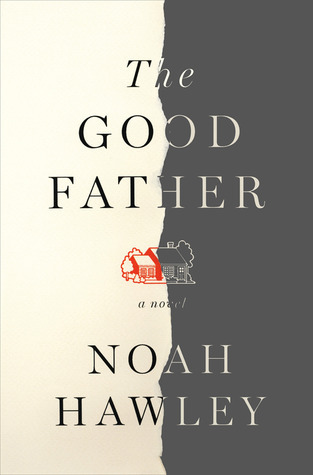 The Good Father, published by Doubleday, is one of Publishers Weekly's Top 10 Books of Literary Fiction for Spring 2012. It's an examination of every sort of human relationship, between parents and their children, spouses, lovers, friends and one's self. Gripping and heart wrenching. I strongly recommend it.